A couple of days ago I went to the Sprengel Museum in Hannover to visit an exhibition of street posters of around the turn of the century 1900 featuring such famous artists as Henri de Toulouse-Lautrec, Gustav Klimt, Alfons Mucha, Jules Cheret and others. 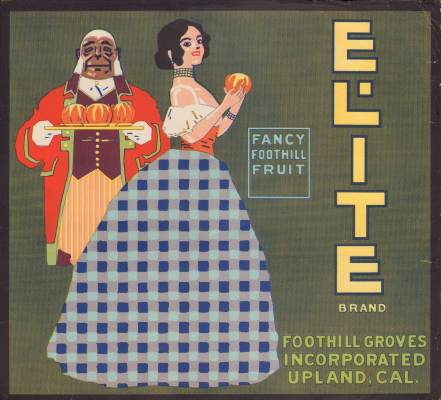 To my surprise I detected two posters there which apparently inspired two of our familiar Californian orange crate labels: “Elite” and “Chinese”. I am proud to own both of them. 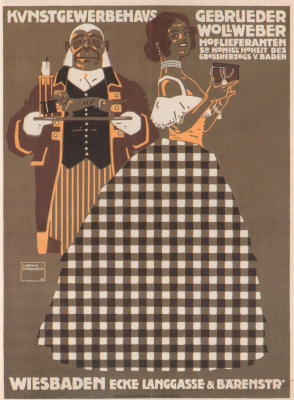 Elite: The original poster was designed by Ludwig Hohlwein in 1908 for an art and crafts shop in Wiesbaden “Gebrueder Wollweber”. It is a stone litho measuring 125 x 91 cm. Gebrueder Wollweber pride themselves as Purveyors of his Royal Highness the Grand Duke of Baden. 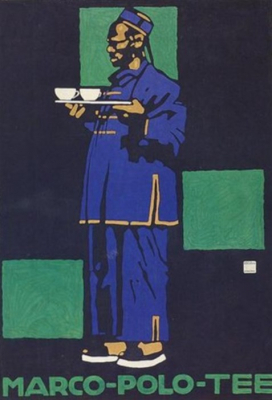 Chinese: The original poster was created by Ludwig Hohlwein, as well, i. e. 1910 for the tea “Marco Polo”, also a stone litho, measuring 77,7 x 55,3 cm. 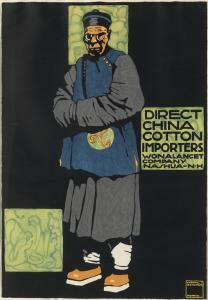 He created a poster with a quite comparable Chinese character for the Direct China Cotton Importers Wonalancet Company. 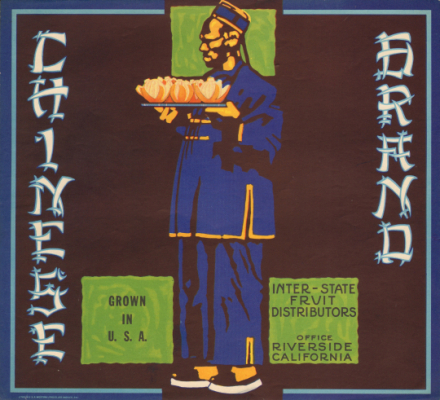 The orange box label was printed by Western Lithographic Company Los Angeles in February 1941. 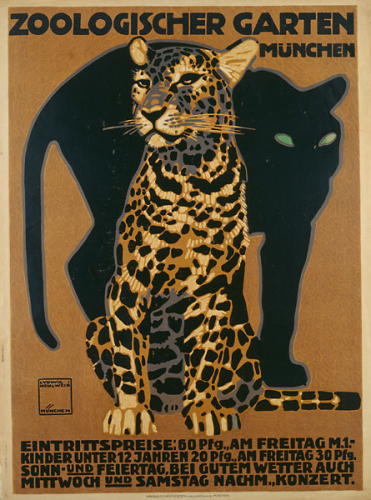 Ludwig Hohlwein, born in 1874, was one of the leading artists in the field of commercial art street posters. Many of them are still in use today, i.e. the gepard with a black panther for the Zoo Hellabrunn in Munich or the munch for the brewery Franziskaner. 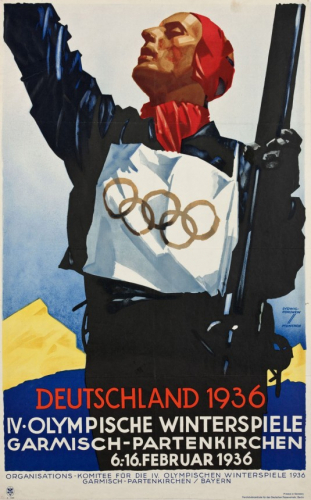 Unfortunately he also worked for the Nazis and made the poster for the Olympic Winter Games 1936. He died 1949. The two finds raise a couple of questions. 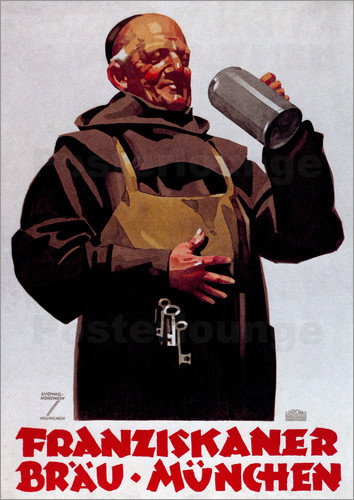 Who were the artists of “Elite” and “Chinese” and what was their relation to Hohlwein? Did Hohlwein know that his posters were used for Californian orange box labels? Did he give his consent or did he even collect a license fee?